While awareness and understanding of depression among young and middle aged people has increased over recent years, mental health issues among the elderly remain largely ignored and misunderstood. And while research suggests depression rates do decrease as people age, there is ongoing debate about the validity of these statistics in relation to certain sub-groups within this demographic. According to research conducted by Beyond Blue, depression is shown to increase up to 50% when elderly people move into residential aged care facilities, and up 48% when hospital bound. Unfortunately though, it is within these environments that depression can most easily slip through the cracks, left either undiagnosed or misdiagnosed, for a variety of reasons. 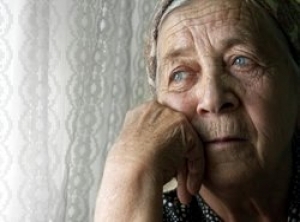 According to psychologist Anna Outred, depression in older adults may present differently than in younger adults, which can leave symptoms masked. “Depression can be difficult to diagnose in older people because it is often masked by other medical conditions that share depressive symptoms," says Ms Outred. Interestingly, many depressed seniors claim not to feel sad which is often different to the presentation of depression in younger people. “Instead seniors may complain of low motivation, a lack of energy, or physical problems, though these may also be present in younger populations,” says Ms Outred. Older people are also less likely to ask for help, says Ms Outred, having been raised in a time when mental illness was highly stigmatised and misunderstood. “This means that it can be more difficult to accept the way they feel, especially if they don’t believe depression is a real illness, are too proud or ashamed to ask for assistance, or fear becoming a burden to their families. Complicating the issue further, is the commonly held misconception that depression is a normal part of ageing. “Medical professionals, family and the senior themselves, can hold this misconception,” says Ms Outred. According to Ms Outred, the issues associated with the diagnosis of depression in the elderly exist at the individual, institutional and systemic levels. “Research suggests that many of the cases of depression in aged care homes go unrecognised, as its symptoms are easily confused with other conditions such as dementia, or physical health issues,” says Ms Outred. “And with a busy working environment and high care needs in nursing homes, depression may go undetected. “Diagnosing depression requires feelings of sadness or unhappiness to persist over time and have a negative impact on a patient’s daily life and ability to function. “The challenge for aged care staff, therefore, is to recognise the difference between symptoms that are indicative of temporary, contextual sadness and symptoms that signify persistent depression. “Given it may be difficult for seniors to talk about their depression, dedicated time is required to uncover the difficulties and warning signs, and pull apart whether the issues are physical and/or has mental health components. While there is still a long way to go, understanding of mental health issues in the elderly is beginning to improve, and aged care facilities need to be part of this change. “Education programs for staff are becoming more readily available, and awareness about the coexistence of mental and physical health complaints are now well documented,” says Ms Outred. Ms Outred says a holistic approach to change and prioritisation is needed at all levels, and psychologists should be a part of the solution. “Involvement of professionals who have dedicated training and knowledge in the area of mental health in the elderly would be the most beneficial for the treatment of depression in the elderly. “This may include Geropsychologists, but could also be delivered through allied health professionals trained in understanding and treating depression in older adults.